Multiple Man Might Be Coming Back, Again! Multiple Man is my all-time favorite comic book character and superhero. He’s currently dead. But for the second time now, Marvel has teased his possible resurrection. Superheroes, especially mutants, come back from the dead all the time. So I think it’s only a matter of time, and as far as I’m concerned, the sooner the better. A couple months ago, Multiple Man appeared in the Astral Plane in the pages of Astonishing X-Men. He didn’t come back to life and could have been some kind of Shadow King creation. Well Marvel has done it again in the pages of this week’s Phoenix Resurrection — The Return of Jean Grey. I’ll spoil his appearance after the jump! It’s not definitive, but it’s another promising path! We already know that Jean Grey is coming back from the dead. But hey, maybe she’ll bring some people with her! 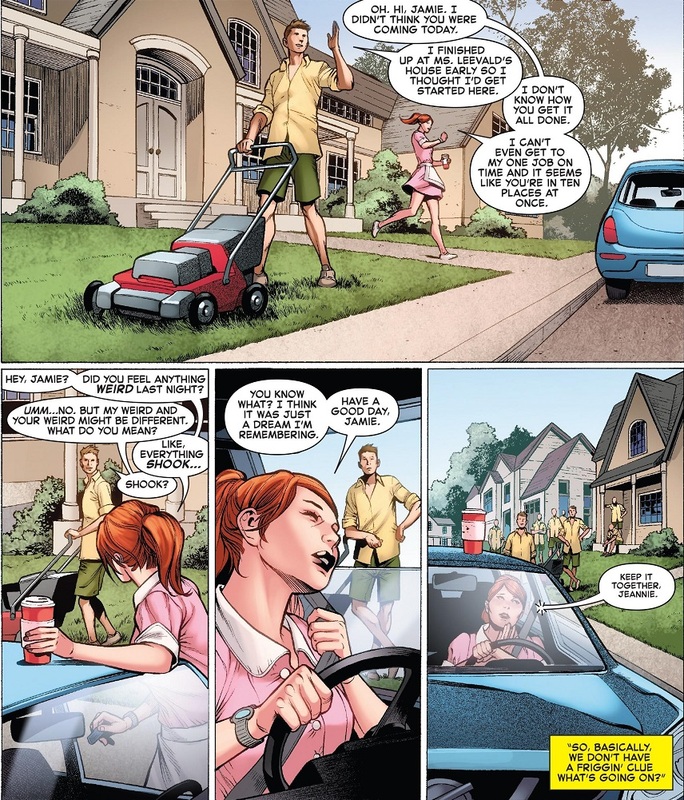 Right now, Jean seems to be living in some kind of fake reality where she lives at home with her parents and works at a diner. Jamie Madrox shows up at the start of the second issue. And that’s it! I don’t know what this means or where it’s going. Some other dead characters, like Cyclops, have also shown up in this dream world. So here’s hoping for something really good and fun! Also, while I’m talking about my favorite X-Factor characters, how about another Strong Guy Watch update? He’s been showing up in this series as a background X-Man. And he’s got that beard again! Definitely a good look for him. Posted on January 4, 2018, in Comics, Marvel, Multiple Man, X-Men and tagged Jamie Madrox, Strong Guy. Bookmark the permalink. 5 Comments. Woohoo, happy for you. I hadn’t seen any of this, so thanks for posting! I’m going to keep my fingers crossed for a long time. If Marvel wants him back in the comics that could mean the movie is going forward. Not necessarily. They understand that he’s a fan favorite character, so they could want him back for that reason.